I've got some beautiful, fun swatches today! Ohh La Lacquer is a beautiful Indie brand featuring gorgeous polishes hand mixed by the owner Nastassia. I've got 4 swatches today, so first up is Neonpolitan, a glitter polish with tiny, matte neon glitters. Two coats covered the nail pretty heavily! Application was a breeze with the flat brush; it reminded me of OPI's brushes! Next is Grosky Lil Beotch. I can't get enough of that name! This is a clear polish with holographic teal glitters. It's stinkin' beautiful!! Next is Hypnotize, a clear polish loaded with tiny, matte black and white glitters. I love this one so much! Two coats gave the perfect salt and pepper look! Finally is my favorite, Princess Nylah. 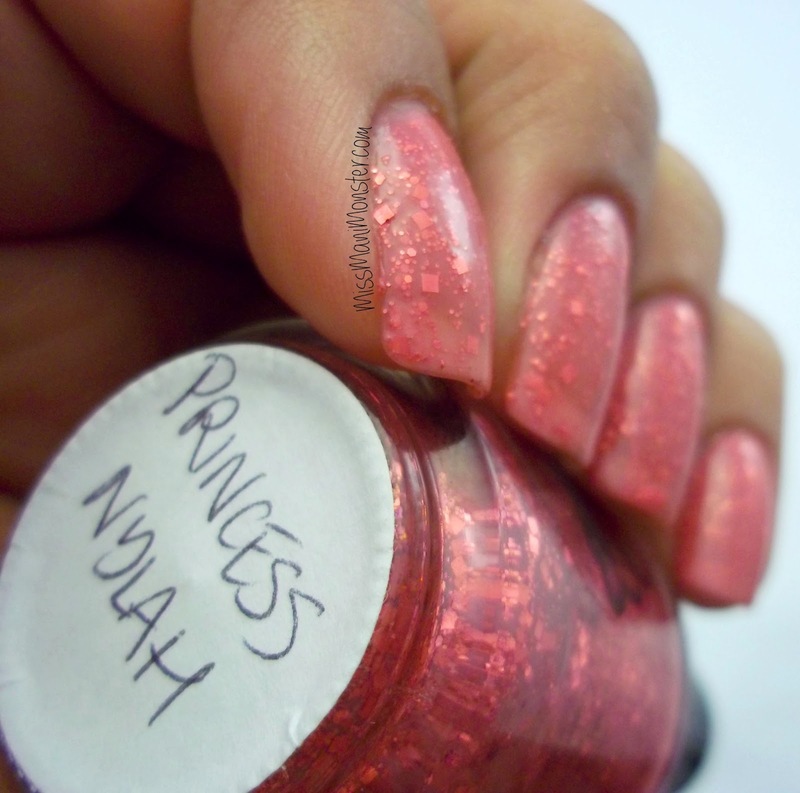 This is a stunning pink jelly packed with shimmery pink glitters. Three thin coats were perfect! To grab a few of your own Ohh La Lacquers, please visit Nastassia's brand new online store at www.oohlalacquer.com!